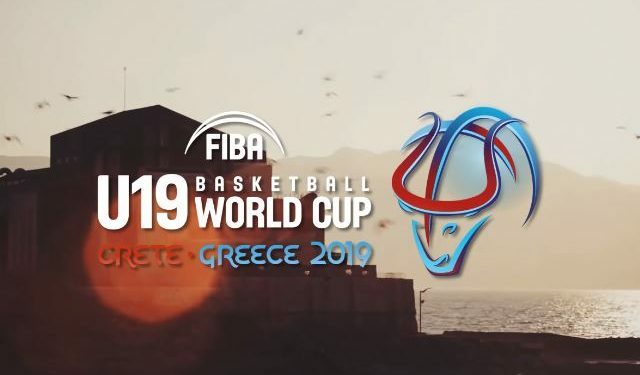 HERAKLION (Greece) – The draw ceremony for the FIBA U19 Basketball World Cup 2019 took place on Wednesday in Heraklion, the capital of the Greek island of Crete. On hand for this special event were: Mr. George Vassilakopoulos, President of the Hellenic Basketball Federation and FIBA Europe Honorary President ; Mr Stavros Arnaoutakis, Regional Governer of Crete; Mr. Vassilis Lambrinos, Mayor of Heraklion; and representatives of the participating teams, including that of the host nation. The FIBA U19 Basketball World Cup 2019 will take place from June 29-July 7. The event also served as an opportunity to unveil a new trophy for the competition and its sister event, the FIBA U19 Women’s Basketball World Cup 2019, which will held in Bangkok, Thailand from July 20-28. The new and contemporary pieces of silverware each feature a basketball sculpted in the shape of a rising star. This symbolizes the emergence of new world-class youth players from raw talent. The two trophies can be told apart based on their colors and the shape of their respective bases. The new ‘rising stars’ U19 trophy concept was conceived and designed by WORKS creative agency, who developed the physical trophies in collaboration with Ottewill silversmiths, as well as the official launch film. The re-design of the trophies is part of the ongoing process of enhancing the brand and position of FIBA’s competitions, which began with the revamping of the FIBA Basketball World Cup and Continental Cups trophies in 2017.